Welcome to the 656th Edition of my series. There is not a lot going on at this time. I will be making some theatrical announcements in the coming weeks but for now I'll just make this short and get on with my selections for the week. 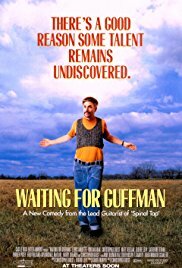 Waiting for Guffman (1996): I star the week out with this mocumentary which was directed and co-wrote by Christopher Guest. He also stars as aspiring director Corky St. Clair who ends up in a small Missouri town and decides to put on a local musical about the history of the town. His cast is a marginally talented group of locals and learns that a theater critic named Guffman will come to opening night and hopes to be able to take it to Broadway. Eugene Levy, Catherine O'Hara, Fred Willard, Larry Miller, Parker Posey, David Cross, Bob Balaban, Paul Dooley, Lewis Arquette, Brian Doyle-Murray, Miriam Flynn, Paul Benedict, and many others co-star in this comedy. This is the ultimate community theater film in my opinion and in many ways could relate to Corky. Much of the alums from BEST IN SHOW, A MIGHT WIND, and FOR YOUR CONSIDERATION take part in this great mockumentary. Whenever I am in a show, I sometimes joke that Guffman will be there which some know and some it just goes over their head. 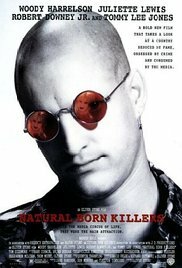 Natural Born Killers (1994): This is part two of a possible four-part Woody Harrelson series. 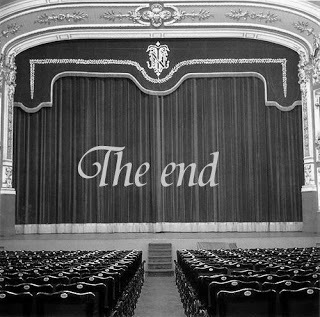 I go from a movie about community theater to what is essentially a satire of the media. Oliver Stone directed this very controversial film which was based on a shory written by Quentin Tarantino but had nothing to do with the final product. Woody Harrelson and Juliette Lewis star as lovers Mickey and Mallory who decide to go on a killing spree and become a media sensation due to the reporting glorifying what they are doing lead by Wayne Gale, played by Robert Downey Jr. Tom Sizemore, Rodney Dangerfield, Jared Harris, Pruitt Taylor Vince, Edie McClurg, Russell Means, Larry Flaherty, O-Lan Jones, Richard Lineback, Kirk Baltz, Dale Dye, Evan Handler, Balthazar Getty, Tommy Lee Jones, Joe Grifasi, and many others co-star in this film. I will start by saying this is not for everyone and is a very dark comedy focusing on how much of us are ate up by the media on most notably serial killers. One cool thing for me is that it included music from Peter Gabriel in the soundtrack so you can't go wrong there, at least for me. I would also like to point out to fellow wrestling fans that seeing Downey made me think that he would be a good Vince Russo as long as he can get Russo's Brooklyn accent down. This is not for the squeamish but if looking for something rather bizarre, this is one to consider. 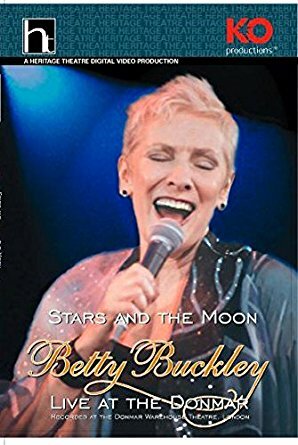 Stars and the Moon: Betty Buckley Live at the Donmar (2002): This is a live performance film of actress and singer Betty Buckley who is most known for her work on Broadway but has made her way to film and television. This has her singing mostly Broadway but also brought us the likes of Mary Chapin Carpenter and James Taylor. 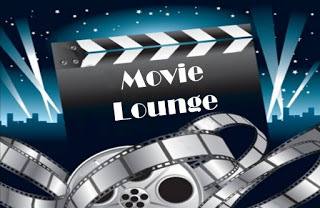 Technically this might not be a movie but since this is my blog, I get to decide that which is very liberating for me sometimes. There is not much else to describe except this is a pretty good concert performance and gives some insight into her career. 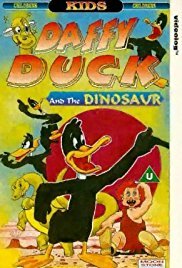 Daffy Duck and the Dinosaur (1939): This is my animated short for the week which as the title indicates features Daffy duck and yes it lives up to its title with a dinosaur. Before we had Fred Flinstone, we has Casper Caveman and his pet dinosaur Fido. Casper and Fido come across Daffy Duck and targeted him for food not knowing how difficult he could be. This is a much earlier one for Daffy who had started in 1937. This is also the only appearance for Casper Cavemen who is essentially I suppose is a caveman version of Elmer Fudd. Still a good one hit wonder to check out and daffy's earlier work. Beginning of the End (1957): This is my MST3K feature for the week. Bert I. Gordon directed this Sci-Fi B-movie. Peter Graves and Peggie Castle star as Dr. Ed Wainwright and Audrey Aimes who are investigating disappearances only to find there are giant grasshoppers that are killing people in the community and must convince the local military this his happening. One thing I found rather funny is that Gordon's inspiration was apparently the 1956 film THE 10 COMMANDMENTS. This was about as low-budget as it gets but still very entertaining especially with the MST3K guys riffing on it. 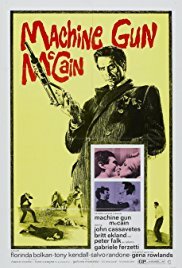 Machine Gun McCain (1969): This is my gangster movie for the week. Giulano Montaldo directed this film based on the novel by Ovid Demaris. John Cassavetes stars as paroled robber Hank McCain who gets in on a robbery devised by his son Jack, played by Pierluigi Apra, not knowing his son is involved with volatile and ambitious capo Charlie Adamo, played by Peter Falk. Britt Ekland co-stars as Hank's love interest. Gabriele Ferzetti, Luigi Pistilli, Florinda Bolkan, Tony Kendall, Salvo Randone, Gena Rowlands, and many others co-star in this film. This is a pretty violent gangster movie and Falk is very far from Columbo. Cassavetes is good as the tough guy and lends some really good action to make enjoyable. This is available on Filmstruck. 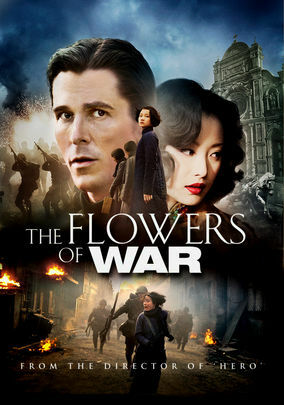 The Flowers of War (2011): Yimou Zhang directed this war film based on the novel by Geling Yan. This takes place during the Japanese invasion of Nanking in 1937 where Christian Bale stars as mortician John Miller who arrives at a church to prepare for a burial of a priest. Upon his arrival, he discovers there are a group of convent girl students and prostitutes from a nearby brothers. He poses as a priest for survival but also finds his own humanity when becoming protector to the girls. Ni Ni, Doudou Zhang, Dawei Tong, Paul Schneider, and many othesr co-star in this film. I did not know what to expect out of this film but was pleasantly surprised by what I saw. This was a really horrible time in history for China but through it all, it was a pretty moving film with Bale really good as the American who starts out not really seeming to care about anything and evolves into a protector. This is available on the Hoopla Digital website. 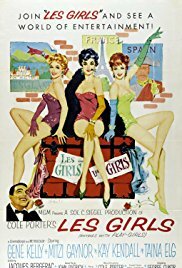 Les Girls (1957): George Cukor directed this Roshomon style musical comedy. This centers around the dance troupe Barry Nichols and Les girls and a libel lawsuit on a tell-all novel by Sybil Wren, played by Kay Kendall, from fellow dancer Angele, played by Taina Elg. Both of them give different points of view on what happened while Barry, played by Kelly, gives his side of the story. 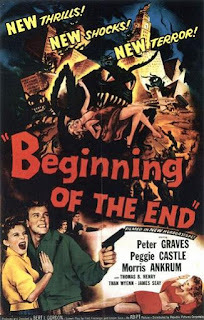 Mitzi Gaynor, Jacques Bergerac, Leslie Phillips, Henry Daniell, Patrick Macnee, and many others co-star in this film. This is Kelly's last movie with MGM and have gone rather overlooked. This has a good script and some pretty good dance numbers along with the Roshomon like flashbacks that told the sides of all three people. This is also available on Filmstruck. 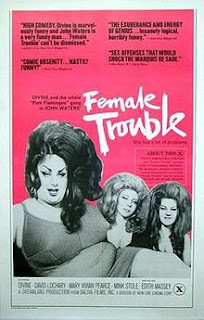 Female Trouble (1974): I bring another crime ridden film written and directed by Schlock director John Waters. Divine stars as Dawn Davenport, also look for a dual role, who runs away from home, becomes a single mother to a very hateful daughter, goes on a crime spree, and becomes a model. Much of the Water alums like Mary Vivian Pearce, Mink Stole, Edith Massey, and Cookie Mueller. It is really hard to put this one into words. I will start by saying this is rated NC-17. You have to understand or at least be aware of the mind of John Waters, especially with his earlier work like this one. In the later years with movies like HAIRSPRAY and PECKER, he kept the same sort of mood but toned it down quite a bit. In earlier ones like this one, this is a pretty sleazy film that will have its audience but will offend many. People who love the musical HAIRSPRAY have Waters to thank for giving us the much darker 1988 film of the same name. This is available on Filmstuck. American Honey (2016): I end the week with this independent film written and directed by Andrea Arnold. Sasha Lane stars as Star who is an 18 year old girl going nowhere in life and decides to join an underground, I believe this word covers it, magazine selling group. She slowly finds she is out of her element in selling when seeing their methods, most notably by Jake, played by Shia LaBeouf. Riley Keough, McCaul Lombardi, Arielle Holmes, and many others co-star in this film. This is a kind of a coming of age film that is taken to a different level. LaBeouf and Keough are the only real experienced actors in the movie and most people in the movie are locals which works very well. The cinematography greatly reflects the low budget of the movie and has some very well-shot scenes. This is not one to be watched if looking for inspiration but is good for watching a character driven film. LaBeouf haters might like him in this one and believe it is cool that he chose this kind of project where I'm sure the salary was not the highest but likely took on account of the script. This is available to watch on Amazon Prime. Well, that is it for this week. Tell me what you like and dislike and stay tuned for next week which so far includes Woody Harrelson, Karl Malden, and many others.